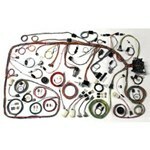 American Autowire produces a huge selection of wiring harnesses, accessories, kits, and components that any true rodder or restorer can appreciate. 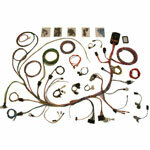 They offer over 9,000 original restoration wiring harness, switches, battery cables, and spark plug wire set combinations in their Factory Fit® product line, complete modified restoration kits in their Classic Update Series, and provide integrated fuse panel and modular fuse panel street rod wiring through their Power Plus, Builder, and Highway series. 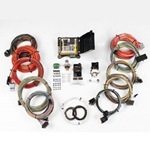 If you need any of their parts that are not listed in this section, just call us with the part number and WILD HORSES will get it shipped out to you at the best price we can offer.